The 2019 Annual General Meeting of DERA will be held on Thursday 25th April 2019 at 8pm in St. Kevin’s School, Donaghmede. All residents welcome. We are pleased to inform residents that Dublin City Council is arranging a Hallowe’en Fireworks Display in Donaghmede Park on the evening of Wednesday 31st October 2018. The display will be staged by a professional pyrotechnics company engaged by Dublin City Council, and will take place at approximately 6.00pm. There will be music from 5.30pm in the lead-up to the fireworks display itself. Reminder: All households, traders and factories in the area are asked to heed the notices given by Dublin City Council, Dublin Fire Brigade, An Garda Síochána and DERA. Do not dispose of materials of any kind that might be used in a bonfire. It is an offence to do so, and is also a major safety hazard putting lives, property and our environment at risk. In particular, please take care to secure your wheelie bins at this time. Health & Safety is our first priority. Please obey the Gardaí and Stewards at the event. Children must be accompanied by an adult and must be supervised at all times. 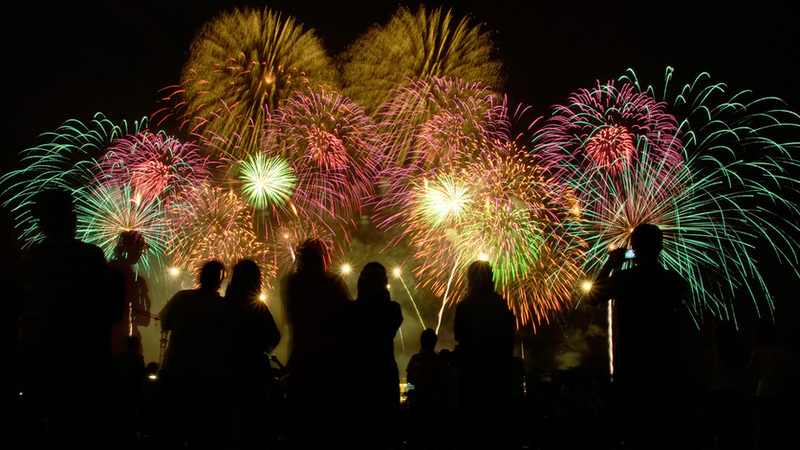 Restricted lighting is necessary to achieve maximum effect with the fireworks display. For your personal safety and that of those in your care, please bring a torch. Please do no litter. Strictly no alcohol permitted at this event. No liability shall attach itself to DERA from any damage, injury or loss arising from any aspect of this event. The purpose of the meeting is to address the problem of illegal dumping in Donaghmede Estate, including illegal parking in laneways and dog fouling. The meeting has been arranged by DERA in response to serious complaints from residents concerning the above matters. All residents are invited to attend. Tickets available from DERA Committee Members, €24.50 per person. This year’s DERA Family Fun Day will take place in Donaghmede DCC Park on Sunday 22nd July 2018. We will have our traditional parade for the opening of the festival, with the Lord Mayor of Dublin and public representatives invited to lead the parade. We invite all in our community to join in the parade with a special welcome to young people – who must be accompanied by their parents or guardians. The parade will assemble from 11.30am at St. Kevin’s School gate on Newbrook Road and will begin on the arrival at 12 noon of the Lord Mayor of Dublin or his representative, walking to Donaghmede DCC Park via Newbrook Avenue, and led by a piper in traditional uniform. In Donaghmede Park the Lord Mayor of Dublin, our First Citizen, will give a brief address and will be joined by others on the platform. Festival Fun activities in the park will commence at 1.30pm approx and finish by 5pm. All the traditional favourites of our Fun Day will be provided but it must be understood that children must at all times be supervised in a responsible manner by their parents or guardians; supervision of children (of all ages) is not the responsibility of DERA. Where ‘Face Painting’ is requested a small donation is asked for. In the early afternoon a troupe of Irish Dancers under the direction of Linda will give a performance, always a great attraction, followed shortly after by the Rock Band, organised by Ronan Byrne with the participation of local talented musicians, which will conclude the Festival. We need volunteers for the preparations on Sunday morning 22nd July of the play area and later for supervision in the park. To volunteer on the day, contact one of the Committee Members. All Festival activities are subject to a Permit from the Parks Department of DCC, which has been applied for by DERA.